Open data usually refers to information the public sector makes (or should make) available to ensure transparency and create business opportunities. A long-standing problem for users is the lack of harmonisation and integration of databases. This is an issue with geographical data too; an obstacle that the standardisation process of INSPIRE is slowly trying to solve. Non-commercial satellite images are the exception. Freely accessible and reusable, they have the characteristics that any data analyst dreams of! Earth observation data is usually available in standard formats, no matter the area covered. It is frequently updated, of great quality and a reliable source of information: the best conditions to build a sustainable business. Just as the EC was discussing licencing conditions for Copernicus, a 2012 ESA study showed that an open access government policy for satellite data is beneficial in the medium to long term. We are talking about environmental benefits, but also economic, i.e. an estimated €30 billion market and tens of thousands of new jobs by 2030. The Americans did it first, it must be said. The breakthrough arrived in 2008, when the US Geological Survey (USGS) decided to open its archive of Landsat satellite images collected over forty years. 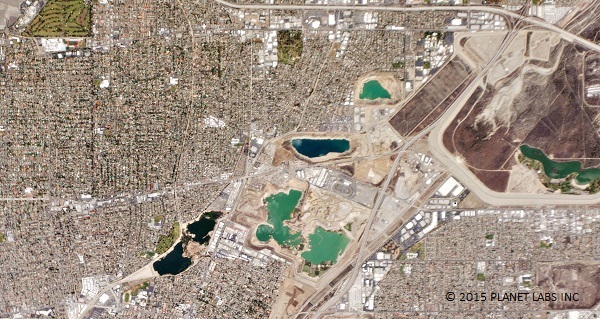 Today Landsat 8 consistently acquires high quality pictures over the entire globe. The free and open data policy is confirmed for Landsat 9, to be launched in 8 years. Copernicus, the European EO programme, is much more ambitious than the Landsat programme. Rather than a single satellite, Copernicus comes with several, to be launched over many years. In addition to data from the Sentinels, the programme delivers the so-called Core Services, that is, value-added geo-information products, or thematic maps on soils, seas, atmosphere, climate change, emergency management and security. The European Environment Agency, for instance, manages such a service: land.copernicus.eu. The output of the Core Services is generally available as open data too. Open data policies when it comes to satellite data have come to be expected and welcome when it comes to public entities. However, a private satellite data provider adopting the same policy will make some noise and raise some eyebrows. Surely the very point of such companies is to make money from selling such data, not giving them away for free. And yet…I jumped from my seat on learning that Will Marshall, CEO of Planet Labs, announced, end September, that the company would open the access to some high resolution satellite data acquired by its constellation of microsatellites. Marshall made the announcement at the UN Assembly, talking about how the data would contribute to the UN objectives for sustainable development. I naturally thought that the data licenced out by Planet Labs for free would concern poor regions in Africa or India; it would have been pretty generous already. But the cheeky imps took it yet a step further, opening access, on a beta platform, to satellite images of California! With a CC BY SA 4.0 open licence. In other words, Marshall says: you can use my data for free, but whatever you do, you must make it open in the same way. This applies to value-added products as well. I don’t know for how long the data on California will be available in open access. But it’s certainly an excellent way of promoting the capacities and data characteristics of very high resolution images of Planet Labs. This is both a major opportunity and the challenge of Copernicus: to generate enough interest in the development of useful, affordable downstream services beyond current capacities, services geared to meet demand. With the caveat that such services should exploit not only satellite data, but also information and other data available, such as all the data published by governments, local authorities, private companies and even by individuals - just think of OpenStreetMap, the free and openly licensed map of the world created entirely by volunteers. Massimo Zotti is the author of massimozotti.it – an insightful Italian blog about geo-information in the times of INSPIRE. 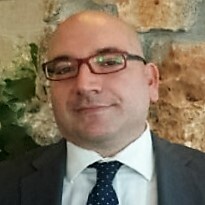 He is also a Sales and Marketing Manager for Geospatial products and services at Planetek Italia.